1. 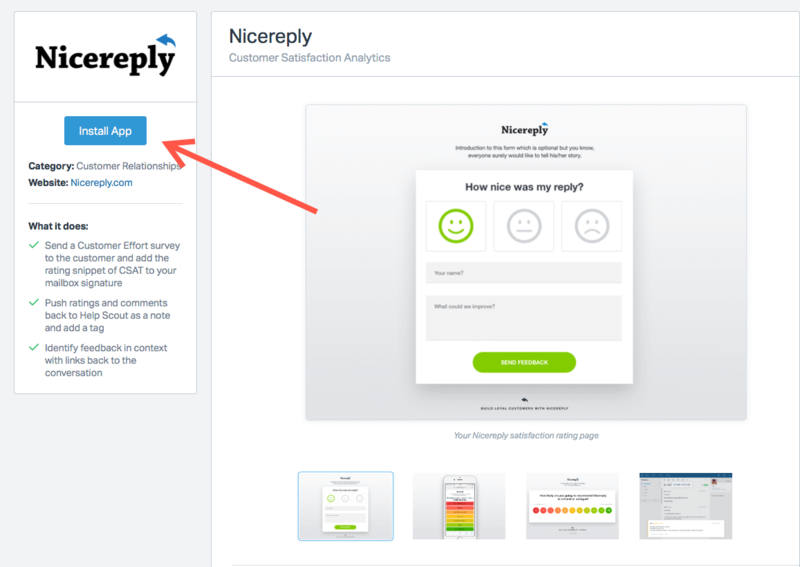 Choose the customer satisfaction metric in the “left menu” in your Nicereply account, CSAT, NPS or CES. Click on “START CSAT”. 2. From distribution options choose “EMAIL TEMPLATE”. 3. 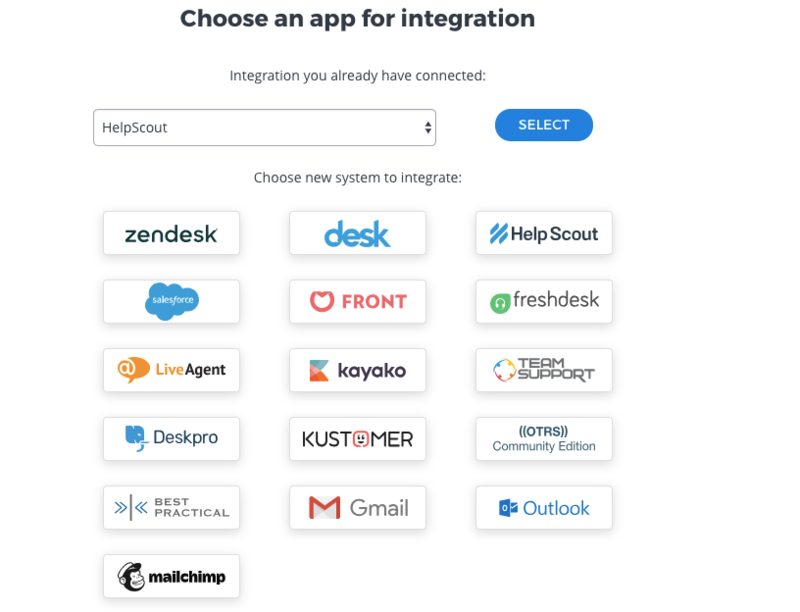 You’re on the app directory page now, click on Help Scout icon. 4. 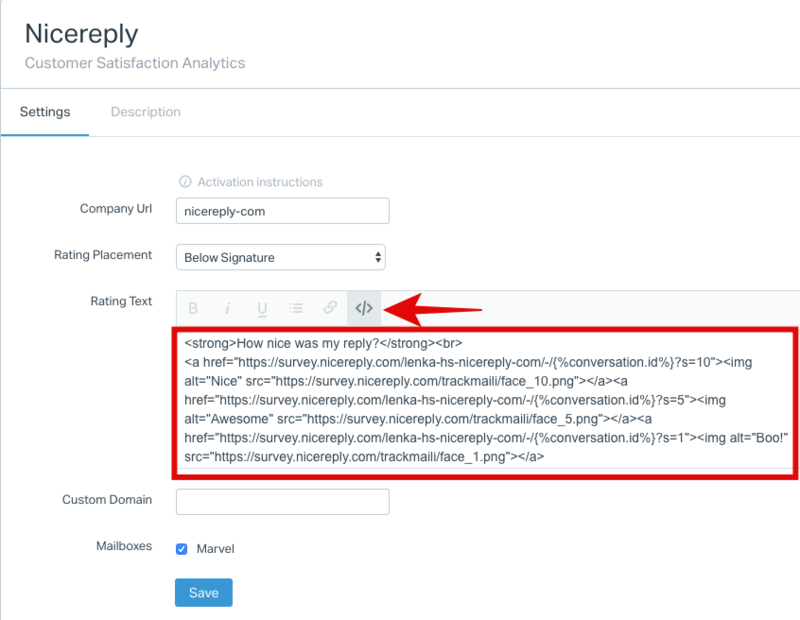 In the next step you'll need to Authorize Nicereply to access your account. 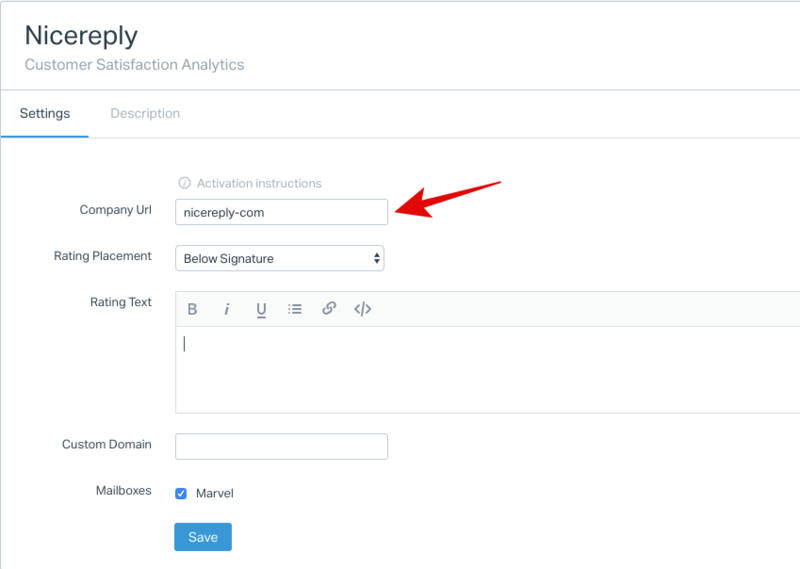 Simply click Authorize. 5. 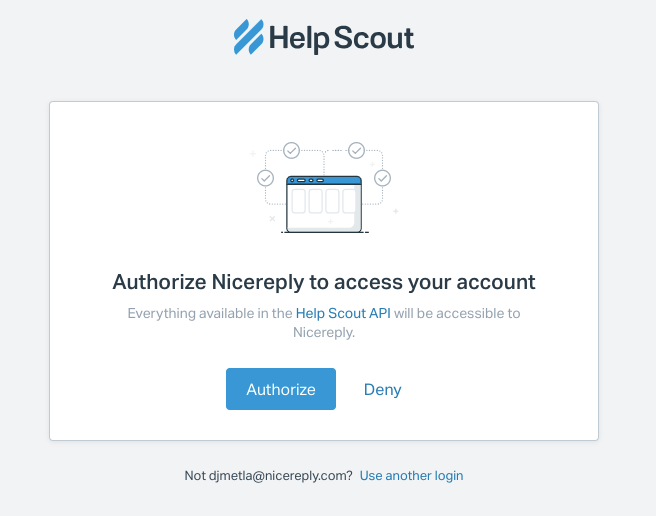 Then, Add your users from Help Scout to Nicereply. 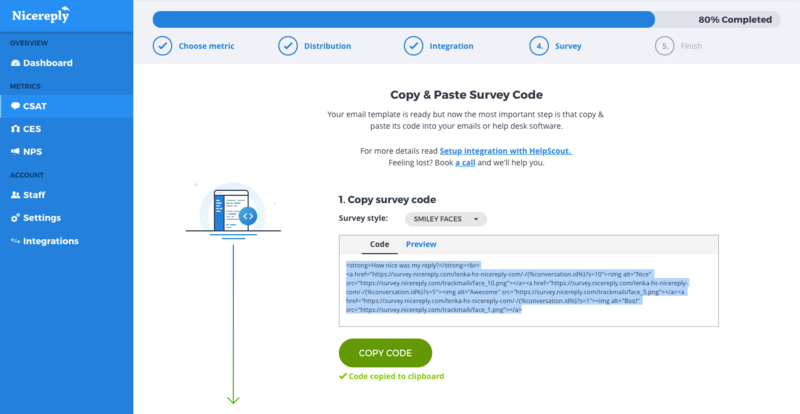 New users will get an automated email with login instructions from us. Then click “CONTINUE”. 6. You're on the good way! 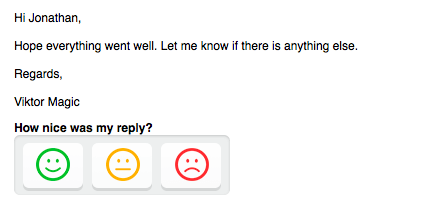 To collect customer feedback, you need to place CSAT (smiley faces) code into your Help Scout email templates. Copy smiley faces code by from Nicereply account. 8. Click the Install App button. 9. Insert your company URL and choose rating placement. You can see your URL at your current screen in Nicereply. You can always find it in Settings → Company / Account settings page in Nicereply. 10. Switch to HTML in Rating text, then paste smiley faces code into Rating Text. 11. When you´re done click Save. Go back to your Nicereply account and click Confirm Setup Completion. 12. The last thing you need to do is set up custom ticket field. To do this go your Help Scout account -> Manage -> Mailbox. Choose the Mailbox you want to set up the custom ticket field for and click on Custom fields on the left side of the screen. Then click New Custom field. 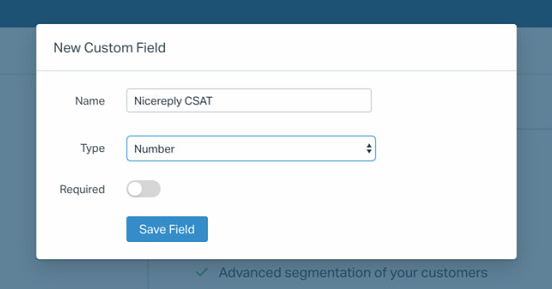 The name of the field must be Nicereply CSAT/ Nicereply CES/ Nicereply NPS. The type must be number. 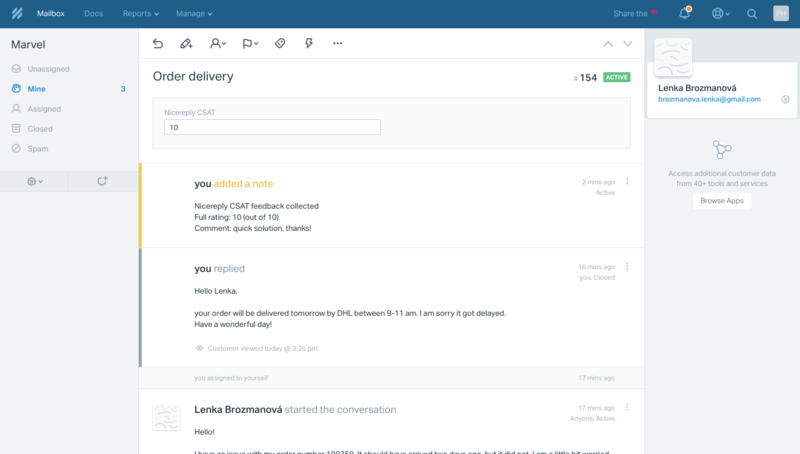 Your email templates will now contain CSAT code (smiley faces) and all collected ratings will be stored in Nicereply under CSAT tab.